David Z. Lu & Associates is a professional service firm concentrating on U.S. immigration laws and international business consultation, particularly businesss transactions between US and China. 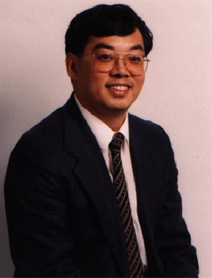 The firm was established in1994 by Mr. David Z. Lu. It currently consists of two attorneys, two off-counsels, and three legal assistants. The firm has successfully processed thousands of U.S. immigration related cases. Most of them are business and employer-based immigration. We have clients ranging from individuals, private companies, government agencies, to international businesses from all over the United States and Asisan countries. We are proud to have served many prominent organizations and some outstanding individual professionals. Mr.Lu is a member of American Immigration Lawyers Association, a member of the New York Bar, and a member of the Federal Circuit at Washington, D.C. Mr. Lu possesses in-depth knowledge of laws both in the U.S. and China. He graduated from Georgetown University Law Center in 1992. Mr. Lu also studied law in a Master��s degree program prior to coming to the United States from China, where he first obtained his Bachelor��s degree in English Language and Literature in 1982 before went to law school of Jilin University. He was nominated by the Fulbright Foundation as a Chinese Legal Scholar in 1989. The firm has been concentrating on business immigration, especially on international corporations and investment green card program in the U.S. It offers legal consultation on setting up business operation and business management. Its staffs are well trained and work very effectively. Currently, all staff members are holding Master��s degree level of education. We treat all our clients with professionalism and respect.